This how-to will take you through installing WordPress on Ubuntu 14.04 LTS. WordPress is a content management system which is free and open source. Since it is open source, there are a numerous amount of themes and plugins that are readily available to you. Although it is typically used as a blogging platform, it can be used for many other uses. 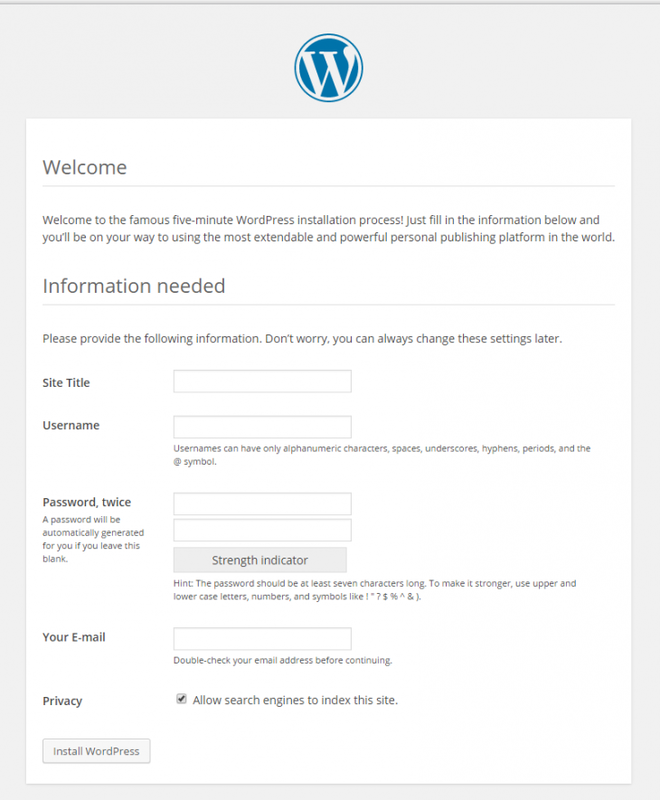 To install WordPress, a Ubuntu 14.04 server running LAMP or LEMP is required. Please see our how-to guide for installing LAMP or LEMP. If you do not have a server, you can get a trusted cloud server from Atlantic.Net, or use our One-Click WordPress installation. Installing WordPress is very simple if you follow these steps. We will first start off by setting up the MySQL database. When prompted, enter your MySQL root password that you set up when installing MySQL. For a basic setup, we need to have the following. Next, we need to move the WordPress folder to your web directory. Note: Your web directory may be different based on your configuration. Finish The Installation Through The WordPress Web Installation. In our example, we would put http://172.20.6.154/ in the address bar and get the following page. From here all that is needed to do is to follow along with the WordPress install and give the information required. Congratulations! You have just installed WordPress on Ubuntu 14.04, check back for more updates. For more information, you may want to check out the WordPress Codex.